A line of reasoning about religious sincerity by the 5th Circuit Court of Appeals piqued my interest. The ruling brings up a host of really ‘good questions’ about Jews and Judaism. I’d love to hear your thoughts. A Texas prison inmate should be served free kosher meals, a U.S. appeals court ruled in overturning a lower court decision. Max Moussazadeh, 35, who is serving a 75-year sentence for a 1993 murder, has a sincere desire to keep kosher and his religious rights were infringed upon, the U.S. 5th Circuit Court of Appeals in New Orleans ruled earlier this month. The 2-1 ruling by the appeals court panel rejected a decision by a U.S. District Court. "A finding of sincerity does not require perfect adherence to beliefs expressed by the inmate, and even the most sincere practitioner may stray from time to time," Judge Jerry Smith wrote for the majority, according to Courthouse News. "[A] sincere religious believer doesn't forfeit his religious rights merely because he is not scrupulous in his observance; for where would religion be without its backsliders, penitents, and prodigal sons?" 1) Does a Jewish murderer need to keep kosher? If he does, of what value is his Kosher observance? What would you say? What would your Rabbi say? 2) Question: For religious beliefs to be ‘sincere’, must they be consistent? If I transgressed this morning, can my Mitzvot of this afternoon be genuine? 3) When speaking of Judaism, what is the meaning of a “sincerely held religious belief”? Can a Jew ever be insincere about his Jewish practice? If indeed he is insincere, should he still continue to practice? 4) If I don’t believe in G-d, should I still do Mitzvot? When is doing a Mitzvah hypocritical? Comments on: A Kosher Murderer? 1) any observance is better than none, and every observance counts. He/she is at that moment fulfilling their mission in this world. It doesn't negate their wrong-doing, or that they are subject to the law of the land. But, they still have a relationship with G-d.
HaShem knows what is in your heart, and another person cannot be the Judge of that. 2)not just morning slack vs. evening observance ~ every *moment* is a new opportunity to do the right thing, to teshuva. Every mitzvah counts, and it's goodness in the world cannot be undone. I may not aways be consistant to be sincere. I'm human. I have the right to try again, no matter how often I've failed. 3) a Jewish soul has a certain mission, a certain relationship with G-d. A Jew may not even believe in G-d, but he/she is still bound up w/HaShem, whether aware or not. Mitzvot count even when you don't "feel" them. 4) (above). If you are a Jew, it is not hypocritical to perform the mitzvot. Interpretation of teachings and meanings and minhagim *are* up for debate, and it is good to utilize your brain, and exercise your free will, but that doesn't mean Jews aren't in relationship w/G-d via mitzvot. 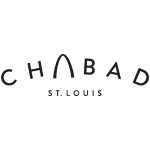 Rabbi Yosef Landa is Regional Director of Chabad of Greater St. Louis. Is Judaism Good for Women?